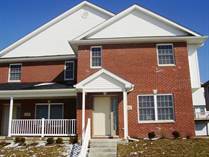 These homes and condos are available for sale or lease now. If you don't find something that you are looking for, email us mkleinba@homefinder.org and let me know what you are hoping to find, when you need to move, if you have pets and what price range you are looking in and I may be able to find it for you. "Upscale 2 BR 2 1/2 BA Condo on SW Side"